Dr. Kwoh is a Professor of Medicine and Medical Imaging in the University of Arizona College of Medicine, Chief of the Division of Rheumatology and holds the Charles A.L. and Suzanne M. Stephens Endowed Chair in Rheumatology. He serves as director of the University of Arizona Arthritis Center, a Center of Excellence in the University of Arizona College of Medicine. He was named to these positions in July, 2013. Dr. Kwoh earned his bachelor’s degree in honors biology from the University of Illinois at Urbana-Champaign in 1975 and his Medical Doctorate from the the University of Illinois at Chicago in 1979. He completed his Internal Medicine residency at the University of Illinois Hospitals in 1982 and a fellowship in Rheumatology at Dartmouth-Hitchcock Medical Center in 1984. 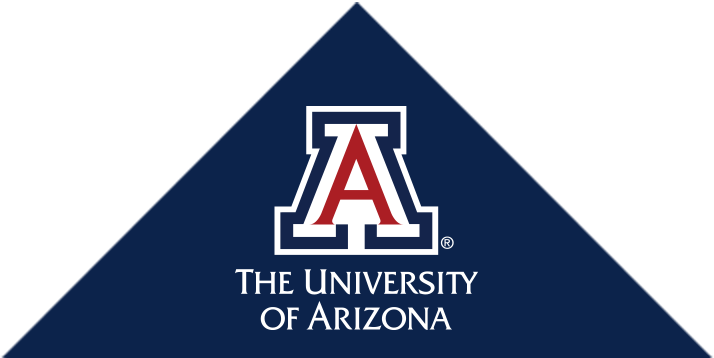 Before coming to the University of Arizona, Dr. Kwoh was the Director of Clinical Research at the University of Pittsburgh Arthritis Institute as well as a Professor of Medicine in the Division of Rheumatology and Clinical Immunology from 2000 until 2013. Simultaneously, he held a joint appointment in the Department of Epidemiology and the Clinical and Translational Science Institute while working as a staff physician in addition to being Rheumatology Section Chief in the VA Pittsburgh Healthcare Systems. His major research interests are in outcome assessment and the examination of risk factors for the development and progression of a broad spectrum of rheumatic and musculoskeletal diseases. His current work focuses on the identification of biomarkers – most notably MRI imaging biomarkers for the development and/or progression of knee osteoarthritis and the characterization of knee pain patterns in osteoarthritis. He also has a major interest in the reduction and ultimately the elimination of disparities in the management of arthritis and musculoskeletal diseases. Dr. Kwoh is currently the Principal Investigator (PI) on two National Institutes of Health (NIH)/National Institute of Arthritis and Musculoskeletal and Skin Diseases (NAIMS) RO1 grants totaling over $7.4 million. He holds a five-year $5.2 million grant from the National Institute of Arthritis and Musculoskeletal and Skin Diseases (NIAMS) unit of the National Institutes of Health, for a study entitled 'Risk of Incident Knee Osteoarthritis and Clinical Outcomes Based on Imaging Biomarkers' (awarded: August 2014). In September, 2017, he was awarded a nearly $2.2 million grant, also from the National Institute of Arthritis and Musculoskeletal and Skin Diseases (NIAMS) unit of the National Institutes of Health, for a study entitled 'Tracking Treatable Tissues: Change in qMRI Biomarkers and Future Cartilage Loss'. Dr. Kwoh is also the co-Investigator or executive committee member on four additional studies with both the NIH and the U.S. Department of Veteran's Affairs. He is a member of the Arthritis Foundation, the American Federation for Clinical Research, the Osteoarthritis Research Society International, ISIS Fund Network of the Society for Women’s Health Research and was a founding fellow and member of the American College of Rheumatology. He is the author or co-author of over 250 scientific journal articles and book chapters. Dr. Kwoh has served on the editorial board of Osteoarthritis and Cartilage and Arthritis Care and Research and is an ad hoc reviewer for numerous other professional journals including Arthritis and Rheumatism, Annals of the Rheumatic Diseases, Arthritis Research and Therapy, Arthritis Care and Research, Osteoarthritis and Cartilage and Journal of Rheumatology. Dr. Kwoh has won many awards including the Northeast Region Senior Rheumatology Scholar Award, the Robert Wood Johnson Clinical Scholar and was a finalist in the post-doctoral competition from the Society for Medical Decision Making. In November 2015, he was named the University of Arizona Asian American Faculty, Staff and Alumni Association's Outstanding Faculty award winner. His clinical interests include knee, hip and hand osteoarthritis, rheumatoid arthritis, inflammatory back pain (spondyloarthritis) and lupus. Dr. Kwoh is Board Certified in Internal Medicine and Rheumatology.